Home » Blog » Fathers » Fatherhood Series – Love Your Wife Part 2- What in the World Does She Mean? Fatherhood Series – Love Your Wife Part 2- What in the World Does She Mean? This has to be one of the most difficult verses for me in the entire Bible! I understand the words Peter writes, but it is that command to “understand the wife God gave me” that often produces frustration. 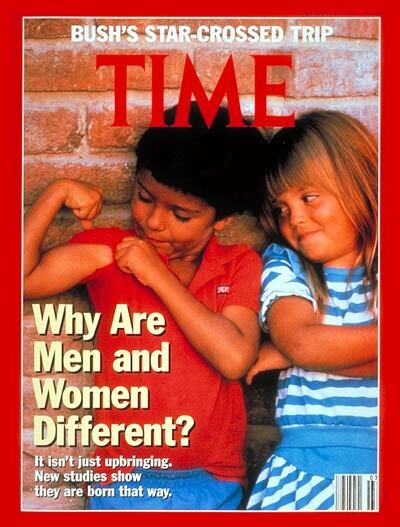 Society spends a great deal of time and money researching and then produces such wonderful study results, as “Men and women are different because they are born that way.” Go figure, most six year olds could have told them that and saved millions of dollars! Christians simply read Genesis 1 & 2 and gain this deep insight. Over the last 36 years of marriage, and 30 years of counseling, one complaint is consistent in marriage – “My husband does not talk to me.” Most men, me included, simply do not understand what the women are saying. We men reply, “Of course I speak, we talk all the time, I tell her what is going on, how my day went at work, etc.” Yet, the wife will often say that they do not talk. Men tend to exchange facts when talking and women are looking for something deeper, like emotions and feelings. This is foreign to most men. Men will ask another guy about how work was today and he will hear a listing of facts. Had a meeting, completed a report, messed up on a project, missed a deadline, or whatever. The other guy nods and that is it. He may or may not ask for more facts about any of the information exchanged. The guys will walk away from the conversation feeling connected to the other guy because they shared some facts about their day. Women shake their head in disbelief at this reality that men live in. The women get together and while there may be an exchange of facts, it does not stop there. Friends probe to the feeling and emotional realm. “Oh, you missed a deadline, how did that make you feel, are you ok?” “The boss was angry, did you cry?” “Were you angry with him?” “What are you feeling right now?” These questions rarely enter into the mind of a male, and many women simply do not believe what I just wrote! I assure you, it is true. When my guy friend shares that the deadline was missed we may talk about what to do, or how to fix it, but rarely will a man say, “How did you feel when you missed it?” “Were you really upset? Did you cry?” We may get there by accident, but not usually on purpose. Give me the facts, just the facts. This is probably why most guys can quote sports stats quite naturally, but often cannot remember what the last argument was really about. Just because we may be wired this way does not mean we cannot grow and change. If Peter was correct, and how I live with my wife has a direct impact on my prayers being answered, I had better learn to speak woman. If my wife tells me, “You are not talking to me,” I better listen up and figure out what she means, because I talk all the time, at least I share facts. “Woman speak” is a foreign language to men, but that does not mean we cannot learn how to speak it. I do after all, know a few words in Spanish! This is important to the topic of fathering because if our homes fall apart, our children will be vulnerable. One of the best things we can do for our children is to learn how to love our wife. Who else is going to teach our sons and daughters about how to have a godly marriage? They will see the reality of Christ in our homes, or not. They will learn firsthand the truth of God’s Word in action, or not. If we boldly proclaim the Lordship of Jesus, yet there is no difference in our marriages than those that do not know Him, what will our children really learn? Will they be drawn to a powerless Gospel? Interviewing young people has confirmed this to me. Comments like, “They went to church and were even leaders, but our home was a mess.” “Sure, they made us pray, read our Bible, and go to church, but they didn’t practice what they preached.” “They never had time for us; they were too busy playing church.” “Jesus didn’t help them, why should I follow that?” Ouch. Children will catch much more than what we pitch to them with our words. What are they seeing in our lives at home? What message is being communicated each day to the children living with us? As a male it is difficult to get in touch with my feelings about facts, however, if I want to love my wife in the way she needs, I will learn to do so. Instead of just talking in fact talk, I can learn to express what those facts mean to me, if I think hard enough about it. We all have emotions, even guys. We simply need to probe beyond the reciting of facts to find them. If your wife has told you that you do not talk to her, ask her if what I am saying is even remotely true. Then tell her how you feel about it!